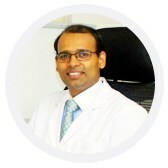 Dr. Kiran Shete is a renowned Orthopedic Surgeon in Pune and has special interest in Spine Care. He completed his Bachelors from prestigious B J Medical College, Pune in year 1998 and then worked as Medical Officer in Rural India for one year. Dr. Shete has also completed postgraduate program in management from top ranked Indian School of Business, Hyderabad in year 2008. 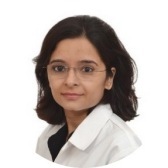 Dr.
Dr. Poonam Patel Vasani is a consultant in Pain and Palliative Medicine. She is a fellow of International Association for Study of Pain (IASP) and Indian Society for Study of Pain (ISSP) programme on Multidisciplinary Pain Management. She has also completed Fellowship in Palliative Medicine from Maharashtra University of Health Sciences (Nashik) at Cipla Palliative Care and Research Centre, Pune. I came to this beautiful place to get my back and knees treated. I was of two minds whether to for surgery or therapy. I am very happy I did not go under the knife. I got my smile back. I will continue to visit the clinic not as a patient but as a friend. Best of wishes. According to MRI the disc between vertebra No 5 and 6 was out of place and there was severe pain in back and leg. Most doctors suggested surgery, but after I come to your clinic I have 70% relief within 15 days. I thank you for bringing back my confidence. Physiotherapy sessions were awesome. If and when I run again its all thanks to the coolest doctors I have ever met. Dr. Kiran and Dr. Shweta You ladies rock !!! Spinalogy Clinic is associated with many small and large, national and international companies. We conduct programs such as Lectures, Seminars, Workshops, Ergonomic Audits, Health Camps etc for corporates. Our few services are complimentary and few are paid. Find out more about your requirements and we can suggest you the best one for you! Does Massage Heals. Think again! How Youngsters are Falling Pray to Overuse of Smart Phone? How to Exercise During Rainy Season? Don’t compromise your health this monsoon!